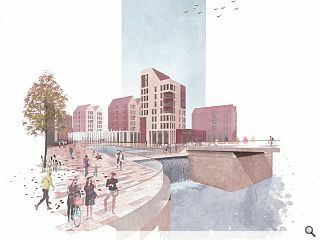 Glasgow City Council is considering a £56m masterplan for the Water Row area of Govan which could deliver 200 homes and 3,500sq/m of commercial space alongside public realm improvements to capitalise on a proposed Govan-Partick bridge. Developed in partnership with Govan Housing Association, Collective Architecture and Central Govan Action Plan the proposal will tie-in with a number of streetscape improvement projects as well as redevelopment of the A-listed Govan Old as a culture and enterprise hub. Once home to shipbuilding industries and a major Clyde crossing point Water Row has latterly been used as a car park and home to two show people families, who will both be relocated. 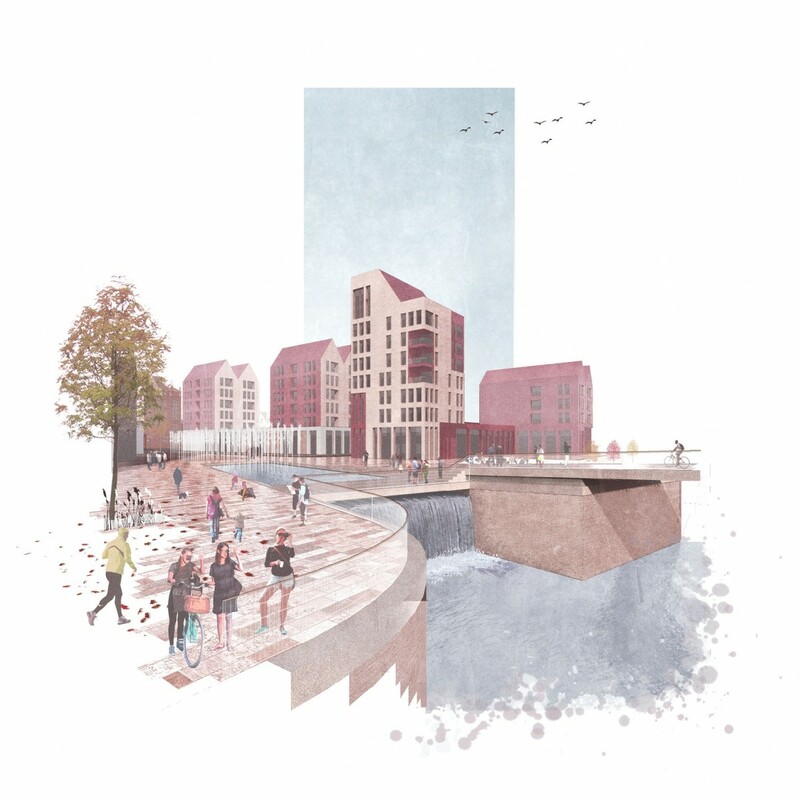 Councilor Kenny McLean commented: “The Water Row masterplan points the way forward to a comprehensive regeneration of a location that will grow in importance to the city in future years. Design work on phase one of the masterplan is already underway and is expected to be implemented early next year, for completion by May 2021.
the link here refers to an article written back in 2012, which describes the importance of the site as a heart for Govan, and the need to encompass a range of sensitive issues referencing the unique historical landscape, and significance of this site. There will for sure have been grand aspirations and musings about this site but one has to question its contextual relevance to such an important area in Glasgow's history. It seems like a 'stack em' high approach has won out despite originally only 100 homes being designated to the area when this site was rezoned for housing ( despite objections) within the city plan in 2014. It would seem that the strategy seems to favour a very high density of homes over the potential to include the show people, a group of travelling circus and fairground entertainers whose ancestry goes back generations, but who have become easy targets for misrepresentation. It does seem shortsighted and dismissive of their culture, that proper negotiation has not sought to address this issue.